Established in the year 2002, we Unity Glass Industry, are one of the leading organizations engaged in manufacturing a wide range of Laboratory and Industrial Glass. All our products are made using best quality raw material such as borosilicate glass and other essential raw material. Being crack-resistant, heat resistant and chemical resistant, our offered products find applications in chemical plants, pharmaceutical industry and hospitals. Apart from this, our products are used for storing Bulk Drugs and for conducting various experiments in Laboratories of schools and colleges. We are backed by a sound infrastructure and a competent workforce. This helps us in executing our endeavors in a smooth and proper way. Optimizing the use of cutting edge technology, we are able to bring forth the offered range within the specified time limit. For the ultimate satisfaction of our clients, we thoroughly check the products at each and every stage of production. We hold expertise in offering customized products as per the specifications detailed by the clients along with the facility of OE and private labeling on each products. Owing to our ethical business practices and cordial approaches towards our clients, we have established a huge client base across the nation. Our list of clientele incorporates some prominent names such as Alembic Ltd., Zyfine Cadila Group, Amoli Organics, Reliance Industries, Bodal Group, Amneal Pharma Ltd, Apicore Pharmaceuticals Pvt. Ltd, Tonira Pharma Group and IPCA Laboratories. Under the able and efficient guidance of our mentor Mr. V. C. Rohit, we have been able to position ourselves among the leading manufacturers of the industry. His ninteen years of industry experience motivates us to put our best effort to achieve maximum client satisfaction. 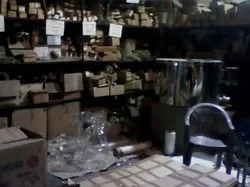 Manufacturing and Trading of Industrial Plant, Laboratory Glass Equipment, Laboratory Glasswares, Glass Heat Exchanger, Glass Unit and Glass Vessel. Our organization is counted among the prominent names engaged in manufacturing an extensive range of Laboratory and Industrial Glass . 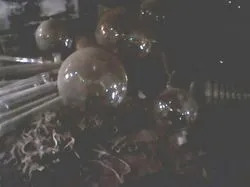 These are made using high quality glass such as borosilicate tubing. 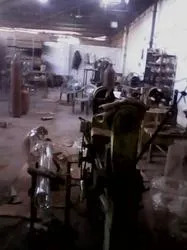 Apart from this, we also use LPG, Oxygen and other requisite to come up with a quality range of products. Our offered products are in high demand in the market for the salient features like heat resistance, crack resistance, chemical resistance, crack resistance and superior performance. Owing all these quality features, our offered products are widely used in laboratories of schools and colleges, chemical industry and pharmaceutical industry. Moreover, we make use of thermocol and corrugated boxes for packaging our range. 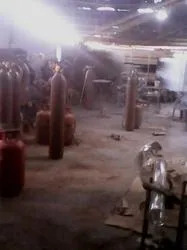 Besides, we also provide our clients with a wide range of Valves like drain valves, gas mixing valves, pressure relief valves, vent valves, diaphragm valves and others in varying capacities. Please find out the attachment for whole description. All the team members are well versed with the clients' requirements & market trend and manufacture the products accordingly. They work in a unified manner which helps us to meet the growing market requirements within the stipulated time frame. Further, we emphasis on enhancing their skill and thereby, provide them regular trainings. We are a client oriented organization and direct all our endeavors towards achieving utmost client satisfaction. To gain the extreme height of client satisfaction, we have built and maintained a strong bonding with our clients by offering quality assured Laboratory and Industrial Glass. For their utmost satisfaction, we stringently test the products on various parameters to ensure the conformity with international quality standards and norms. Owing to our highly qualified and efficient team members, we are successfully catering the products to clients within the promised time limit. Further, our transparency in business and ethical business practices have earned us a wide client base in the domestic market. We take pride in having a list of high profile clientele which includes Reliance Industries, Bodal Group, Zyfine Cadila Group, Alembic Ltd., Amoli Organics, Amneal Pharma Ltd, Apicore Pharmaceuticals Pvt. Ltd, Tonira Pharma Group and IPCA Laboratories.